Dating back to the late 5th century BC, Euryalos Castle, located near the modern town of Syracuse and connected to the ancient Dionysian walls, is the most important example of a Greek fortress in the Western world. Thanks to European funding, the Superintendence of Syracuse has developed a multimedia project for a digital enhancement of the site and a traditional museological project for the setting up of a little Antiquarium for archaeological objects, only recently opened. After a brief introduction on the history of Euryalos Castle, aim of this paper is to explain the multimedia project concept, its goals such as to make live this monument according to a modern digital storytelling, both in situ and via a storytelling application on izi.TRAVEL platform, and to find out if and what kind of impact this project had in allowing visitors to grasp the real evolution of the archaeological ruins and landscape and their history. The Euryalos Castle is the most important and the largest example of a Greek fortress in the Western world (see Figure 1), survived until the present day (Karlsson, 1992). Founded in 734 BC on the island of Ortygia, at the very end of the 5th century Syracuse was fortified on the Northern side of Epipolis district by the tyrant Dionysius I the Elder, who decided to build the Euryalos Castle, a monumental military architecture connected to the city walls, originally 27 kilometers in length (Mertens, 2016), and characterized by an intricate series of galleries. During the 4th and 3rd centuries, the Castle and the walls suffered several changes and many others followed from the Roman conquest (212 BC) to the Byzantines times in the 7th and 8th centuries AD. 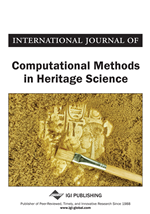 The authors prefer not to descend into a detailed description of the monument and the history of the archaeological research, having done elsewhere (Bonacini, & Castorina 2017, pp. 387-394), presenting the multimedia project here further discussed. A great part of the original Castle survives, thanks to the fact that it was largely cut directly into the rock; the city walls, marked by towers, and the Castle were represented in all the maps by geographers since XVI century onwards, but we had to expect the end of XIX century to have a defined plan, although not always accurate, made by F.S. Cavallari after his excavations (Cavallari, & Holm, 1883; Cavallari, 1893) and a new plan drawn up by L. Mauceri (1928), according to the investigations of P. Orsi between 1904 and 1911. Further excavations were carried out between 1957 and 1960 (Gentili, 1959; Winter, 1969), allowing J.P. Adam to draw in 1972 a more precise plan (Adam, 1982), but documentation appears incomplete and fragmentary. After preliminary news of a hard topographic survey, made by the German Institute of Archaeology (Mertens, 2002), a final publication just presented a definitive plan of the fortified city walls (Beste et al, 2016). This paper presents the project carried out by the Superintendence of Syracuse, with the aim of setting up of a little Antiquarium (C in red, in Figure 2) near the archaeological site, both provided with traditional information supports and multimedia contents to enjoy the visit (only in Italian language, while the ticket office provides visitors with an English leaflet and a map). The authors want to demonstrate how a suitable digital storytelling project can succeed in making understandable and fascinating both a monument difficult to understand and the stories that revolve around it. The multimedia path at the Euryalos Castle was inaugurated only on 30th September 2016, so the data on the fruition are still limited (and only for 2016), but they will be presented here. The authors are going also to present a specific dedicated application on izi.TRAVEL platform, both accessible on the the website (see Figure 3) and on the app (see Figure 4), that could be used also in offline mode if downloaded. In red: (A) The entrance to the archaeological area; (B) The Ticket Office; (C) Antiquarium. In blue: D-E-F. Outdoor multimedia kiosks (adapted from Adam, 1982).